We have created wedding packages and special wedding offers to make Denbies the perfect wedding venue for your special day. 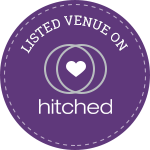 Giving you the confidence to plan your wedding with no hidden extras. Alternatively, the versatility of the vineyard can be adapted to create your own unique bespoke package to match your requirements. All special offers apply to selected dates only / Minimum numbers apply. Subject to T&Cs. *does not apply to Gallery Restaurant reservations/Min. numbers apply/all special offers apply to selected dates only.